Mitzuyan is a full service kosher catering company serving Toronto, Vaughan, Richmond Hill, Markham, Mississauga and other municipalities in the region. Our mobile kitchen operations have provided catering services in a variety of locations, indoor and outside, for more than 15 years. We will work with the theme you choose for your wedding, bar/bat mitzvah celebration, or other event. We cater for a variety of religious events (birthdays, anniversaries, weddings, bar and bat mitzvahs, galas, fundraisers, ) and corporate events and can meet just about any additional dietary requirement, including vegetarian, vegan, gluten-free, nut-free, etc. All food is prepared onsite (or close enough—we park as close to the venue as possible) so you get it as fresh as if it were done in your own kitchen. With three daughters at home, Norman has learned the art of patience, listening, advising, consoling and providing solutions to unique situations. All these virtues are brought into his kosher catering business. Norman has been in the hospitality industry for over 25 years. He would always have to sub-contract kosher food and got tired of hearing from his clients that the kosher food was acceptable but not exceptional. Another major complaint was the price being paid for the food. 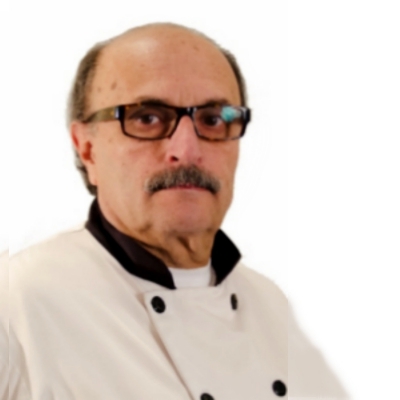 Norman decided to start a kosher catering business in 2004 and assembled a group of international chefs to help in the development of the business. The goal of Mitzuyan was to provide excellent food and service for kosher food at affordable prices. He is proud to say that his mission has been accomplished. Sade was born in Barbados and has worked with the finest chefs in Jamaica, Trinidad, Barbados, Aruba and the Virgin Islands. She has worked with Hani for the past 5 years. They are a forceful creative team who have each other’s back. No kosher caterer in Toronto can surpass Sade’s kosher Caribbean cuisine, it will bring tears to your eyes. If you think you're a bit far off the beaten path, contact us and we'll talk. Don't just take our word for it: check out our reviews to see our work from other people's points of view. Or just give us a call at 416-419-5260. You can also email Norman, who will be happy to share details about Mitzuyan's kosher catering experiences with you!